What made it so good? I love it when a show works out its kinks, realises its strengths, listens to constructive criticism, makes wise changes, and comes back better. Too many shows seem to die because the creators have a vision they bullheadedly refuse to change, and just lose viewers or get creatively lost. 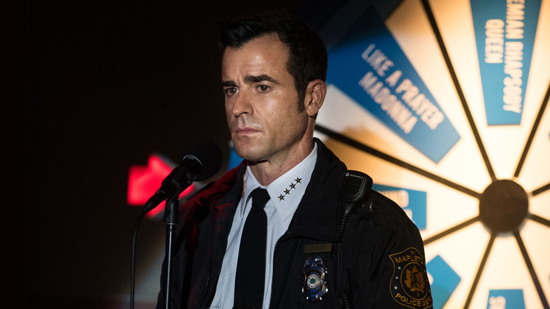 Not so, The Leftovers—which had a big change of location, moving from New York suburbia to small-town Texas, and managed the very difficult challenge of maintaining its sorrowful tone while finding ways to make it more palatable. I mean, The Leftovers was a depressing show in its first season—which was understdanble, because it was about grief and depression, broadly speaking—but it was also a bit of a concern. There were plenty of episodes where I was giving serious thought to just dropping the show, because it felt like a weight on my soul. There wasn't enough light to balance the dark, basically. In season 2, there were more enjoyable side mysteries to explore, and everything was hung around the disappearance of a teenage girl and the mental issues faced by its lead character, Kevin Garvey. And every week, it just kept getting more involving, complex, bizarre, revelatory, and interesting... until climactic run of episodes that were some of the best and most engrossing hours of TV I've seen in awhile. Damon Lindelof still gets flak for how Lost "disappointed" too many fans (which I've never completely agreed with), but it's interesting that he's now in charge of another mystery show that crucially isn't going to give us answers, but is making the journey the characters are on the more interesting thing. I don't actually care why 2% of the population vanished, I just want 'the leftovers' to find peace and harmony together. The best moment? Easy. Well, the premiere's extraordinary opening flashback into prehistory was a really brave way to begin a new season, but the best moment would still have to be the scene involving Kevin and a cup of poison. Absolutely mind-blowing, and for once the pay-off was just as incredible to watch the following week. Watch this if you like: Lost, high-concept drama, Twin Peaks.